Made by AFCNA, one of the cooperatives that we send our fleece to. AFCNA the fiber cooperative that we send our fleece to and the makers of our best selling Extreme Socks has created another great sock for the alpaca sock enthusiast. 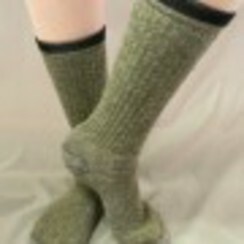 The Hiker sock is a medium weight sock. Soft and cushioned like the Extreme but a lighter weight than the Extremes. Machine washable and can be dried in the tumble drier. 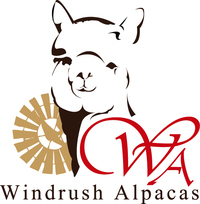 Alpaca fiber has all of the natural thermal properties required to keep you warm and comfortable while wicking away moisture. 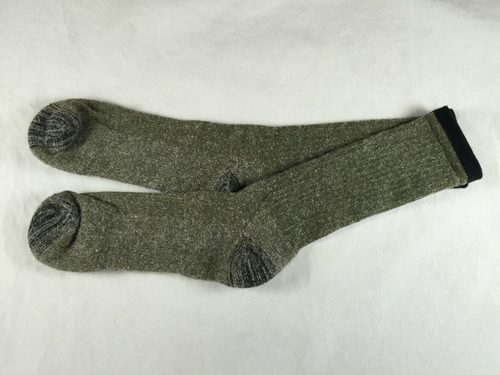 A great sock for everyday, hiking, working or whatever activity you choose. Enjoy durability and comfort with a pair of Alpaca Hikers today!